She Was Just Gettin’ Warmed Up! Daisy was only PRACTICING yesterday! Her first egg weighed 1.5 oz. Today’s delivery weighs 2.6! I looked up the official weight for “Jumbo” eggs and they begin at 2.5 ounces. 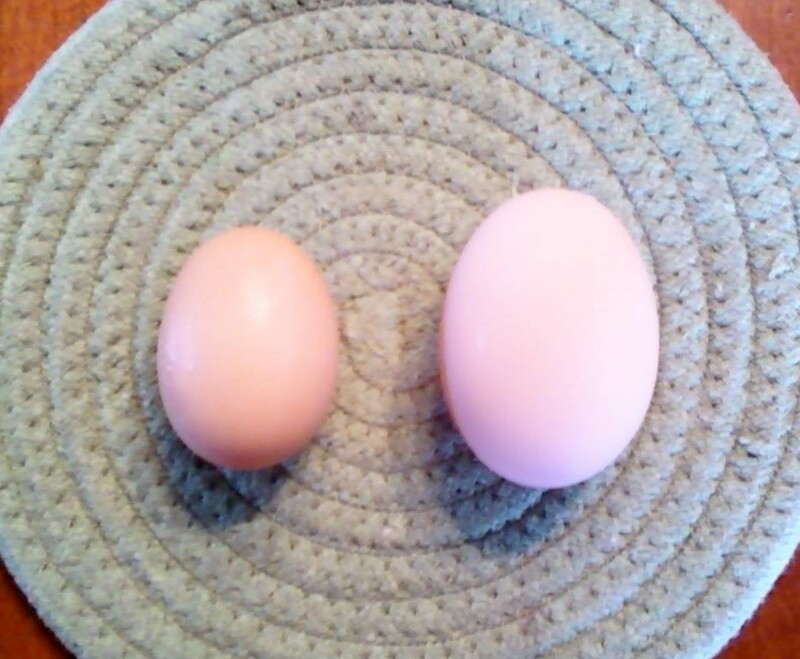 I guess when you have a jumbo chicken, you get jumbo eggs. As long as we can afford chicken feed, we will never lack for protein! Thank you Miss Daisy for going above and beyond! It will be big cake!!! Jim says he bet that hurt! I hope not cuz she has to do it 5-6 times a week! Good goobily goo, what an egg!!! I am so glad I am not a chicken! Well, although the egg IS big, I don’t think Daisy could push a Gerald or a Hannah out of her “vent” do you!